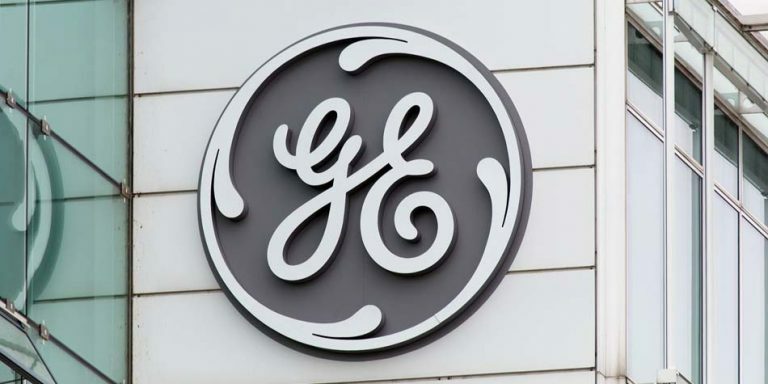 Shares of General Electric Company (NYSE:GE) have not had a good year. It’s only February and GE stock is already down 14% in 2018. The losses add to the roughly 50% loss General Electric stock has suffered over the past 12 months. So what should investors do? Is it time to wade into the market and scoop up some stock? I don’t know that it is. For starters, I’m not 100% certain that the SPDR S&P 500 ETF Trust (NYSEARCA:SPY) is done going down. Friday’s bounce was impressive, but the volatility index remains elevated and key market leaders like Nvidia Corporation (NASDAQ:NVDA) are lacking follow through in a major way. If a hot stock like Nvidia with robust growth and attractive fundamentals can’t sustain a rally, why throw money at GE stock? If the market does head south again, investors will not be flocking to the safety of General Electric. The fundamentals just aren’t strong enough. That was a key reason why JPMorgan analyst Stephen Tusa recently lowered his price target on GE stock. Tusa has been an stud when it comes to calling General Electric’s demise. He was one of the first analysts to pivot to the bearish side when things were clearly going array. He’s now cutting his price target to $14, while arguing that on a sum-of-the-parts basis, GE is only worth $13 per share. “Recent moves in the bonds, and a growing realization that, even if cash improves, the balance sheet does not lend much optionality for future growth we believe brings more urgency to the situation.” Tusa further notes that the company has too much leverage and too weak of cash flows. I don’t disagree with Tusa’s take and the man has been spot on for most of this decline. My worries are much simpler: earnings and valuation. After forecasting $1.04 in earnings per share in November, Tusa now expects just 88 cents per share. Consensus expectations still call for 96 cents per share in earnings. Worse, Tusa is only modeling for 85 cents per share in earnings for 2019, vastly below Street expectations of $1.07 per share. If his outlook turns out to be right, the rest of Wall Street will have to bring down expectations. At current prices, GE stock trades at about 17 times 2018 earnings estimates and 17.6 times Tusa’s 2019 estimates. Even if we exclude 2019 from our current outlook, do we really want to pay 17 times for this kind of earnings? There’s no doubt the stock will bottom before the business; that’s a common move on Wall Street given that the stock market is forward-looking in nature. But why would I want to pay 17 times this year’s numbers for an earnings decline? Particularly when there are concerns over cash flows, the dividend, potential capital raises, funding liabilities and a whole host of other question marks? Probably not. Don’t get me wrong, CEO John Flannery is certainly the man to lead this turnaround. I have no doubt that he will do just that. But I don’t want to buy GE stock at $15 only to watch it fall to $14, $13, $12 or worse. 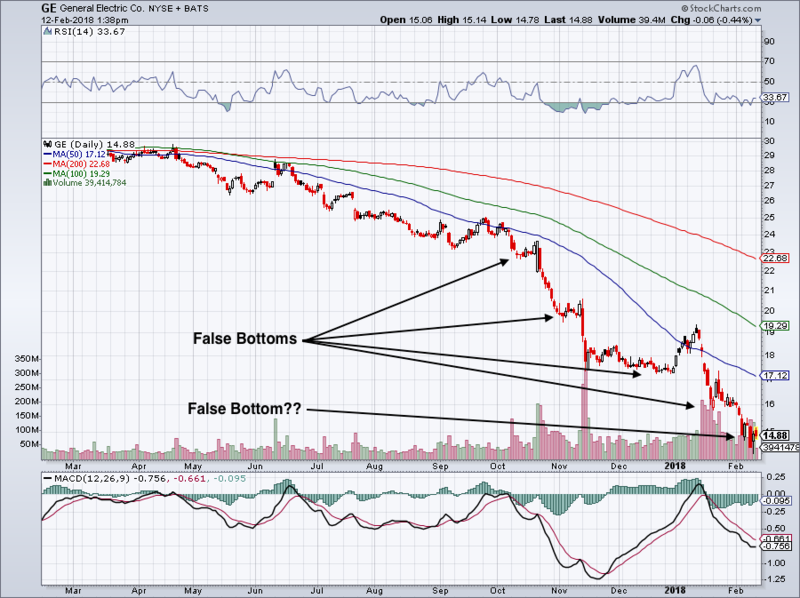 While GE stock now yields 3.2%, its valuation still isn’t compelling. If anything, I’ll look for stocks with below market- and GE-valuations with superior growth. Companies like Apple Inc. (NASDAQ:AAPL), Johnson & Johnson (NYSE:JNJ) and Bank of America Corp (NYSE:BAC) come to mind first. These companies not only have strong businesses and balance sheets, but superior growth. All that and a lower valuation. There’s not much to think about when its comes to a head-to-head comparison. 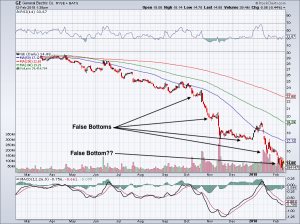 Plus, the chart for GE stock does not have any clear sign of a bottom. In fact, there has been false bottom after false bottom, each time looking like the stock is going to base. I don’t know that $15 is the answer, or $14. Or $12 for that matter. It may largely depends on what the SPY does and how much volatility remains in the stock market. Rather than play the guessing game, I’d rather buy winners like JNJ, AAPL and BAC. Bret Kenwell is the manager and author of Future Blue Chips and is on Twitter @BretKenwell. As of this writing, Bret Kenwell held positions in AAPL and JNJ. Article printed from InvestorPlace Media, https://investorplace.com/2018/02/ge-stock-long-fall/.